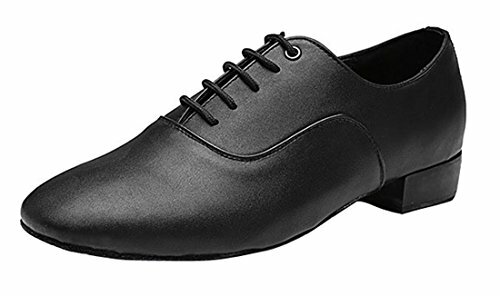 1:TDA is committed to producing high quality and economic dance shoes for pretty ladies, you can wear them to any party, tango, waltz, foxtrot, rumba, cha cha, swing, disco, samba,etc. evening or wedding Occasions, and you will be the Princess of all audience. 2:This kind of women Latin dance shoes can be used both in the ballroom indoor and outdoor (you can choose shoes sole according to your need). The indoor shoes sole is made of cow suede, which is soft, comfortable and durable. The outdoor shoes sole is made of high quality rubber, which is lightweight and comfortable. 3:SIZE & FITTING Proper measurements ensure a proper fit. TDA Classic Shoes run strictly American Street Size but some dancers would like to choose half size small for dancing. However, size and width are for reference only. 4:We take all pictures from the real shoes, there may be a little different due to different displays, shooting light, environmental factors or other reasons, if you have any problems about size, quality, or other questions, welcome to contact us at any time, we have professionals to answer them timely. If you have any questions about this product by TDA, contact us by completing and submitting the form below. If you are looking for a specif part number, please include it with your message.